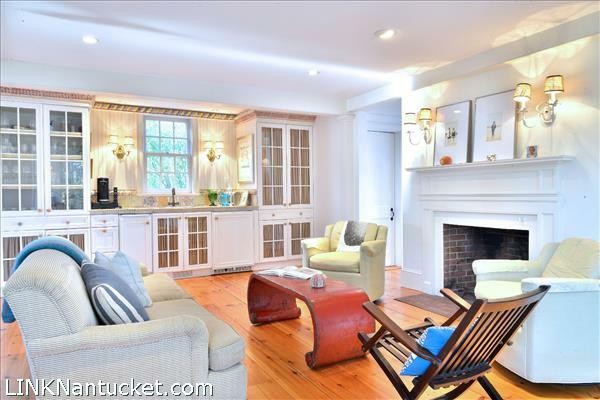 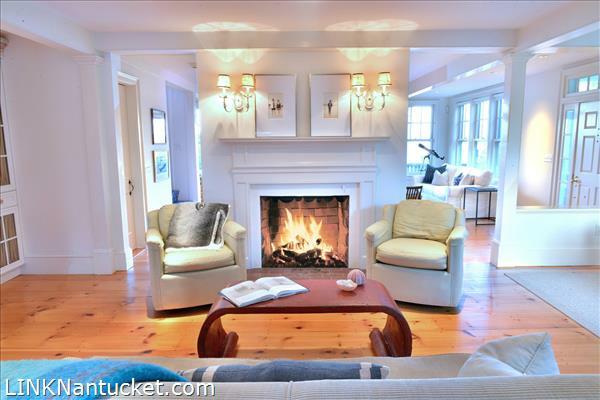 Enter on the east side of the home into the spacious living area with a wood burning fireplace. 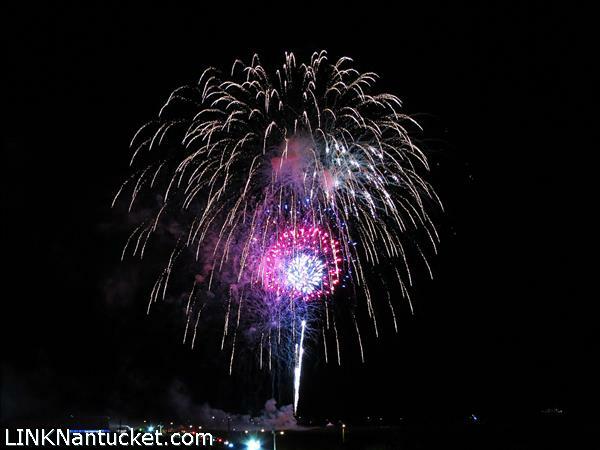 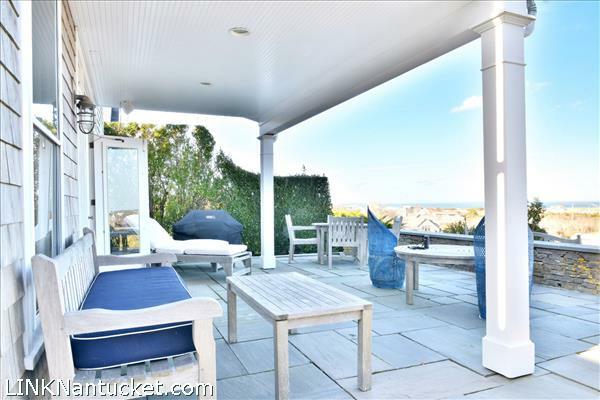 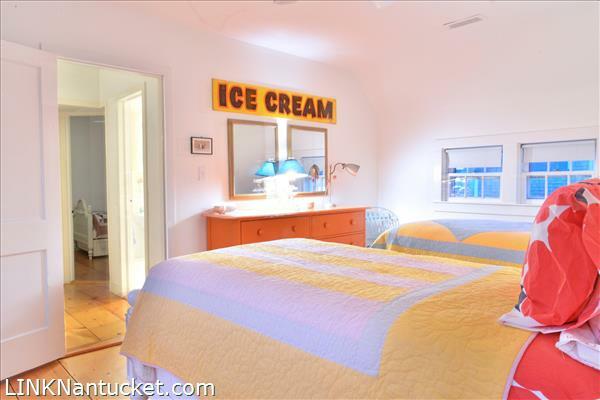 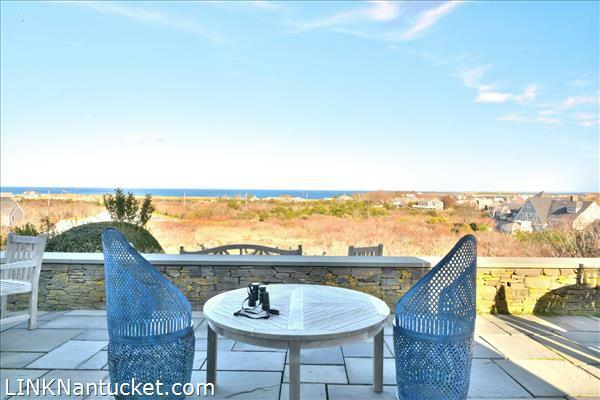 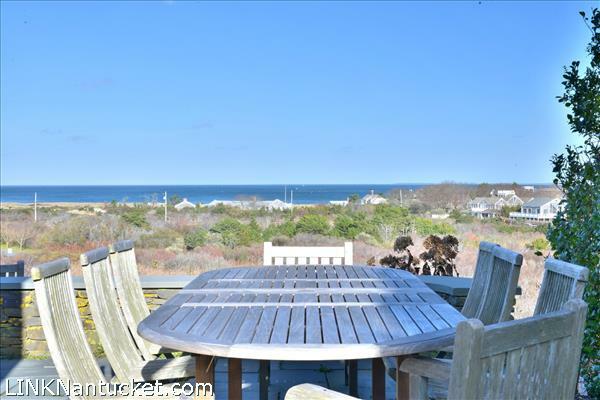 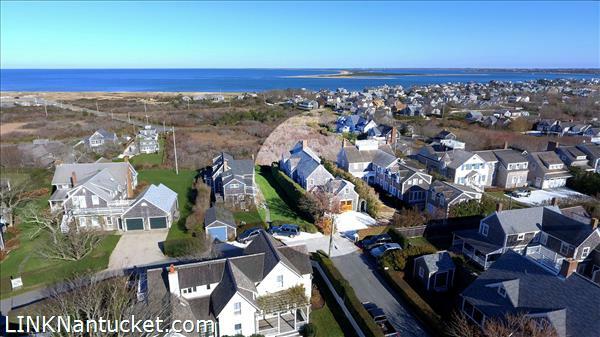 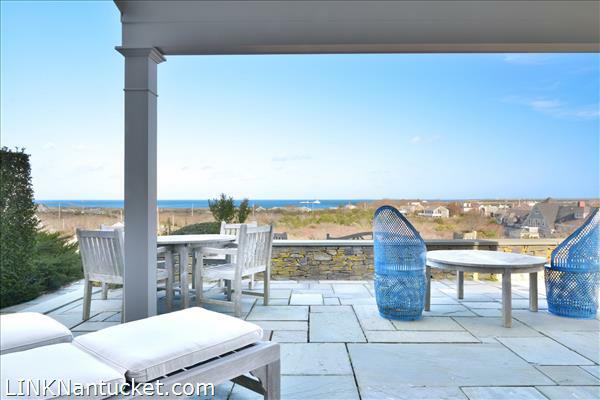 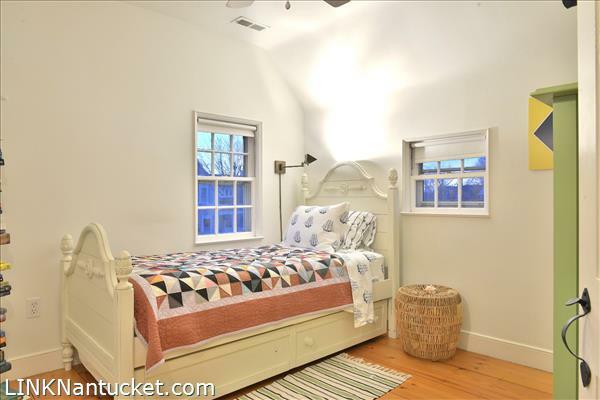 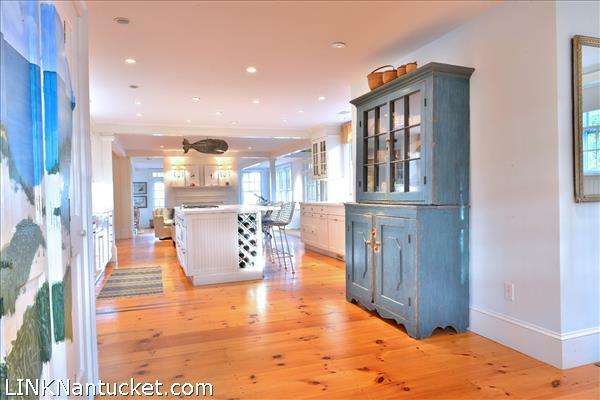 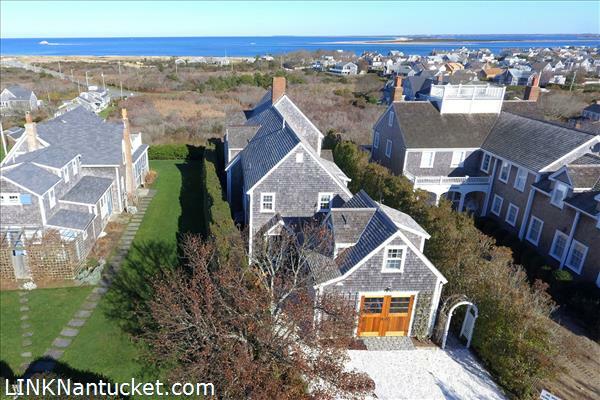 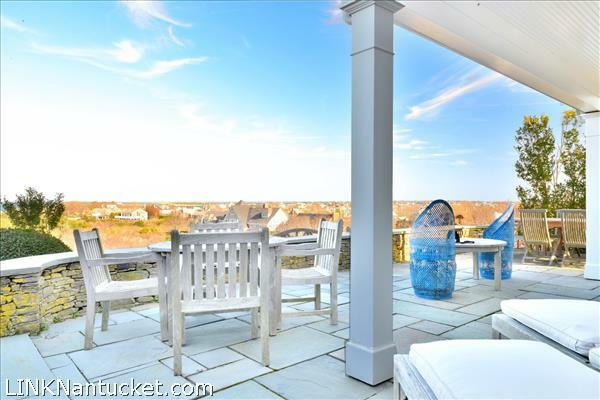 There are double French doors leading to the partially covered slate patio with panoramic, unobstructed views of town, the harbor and Coatue. 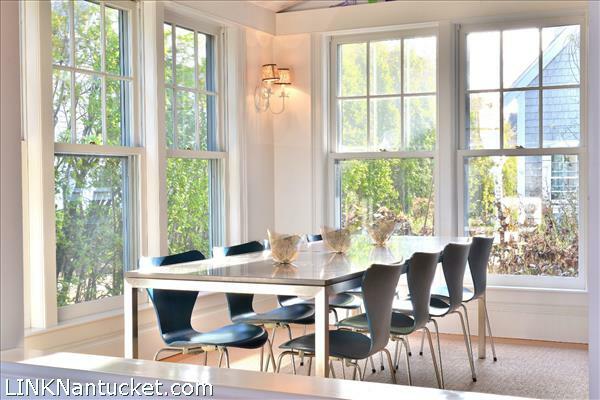 A perfect spot for entertaining. 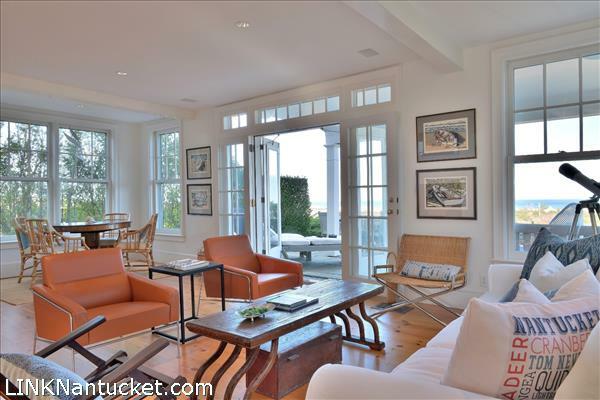 Three walls of windows bathe the living room in sunlight along with breathtaking views of the water. 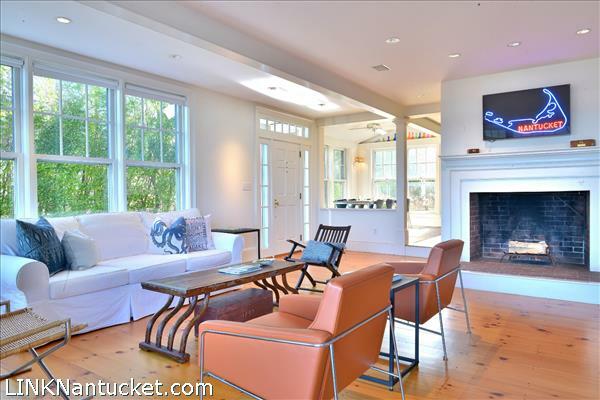 The living room opens on both sides of the fireplace to an open family/dining area. 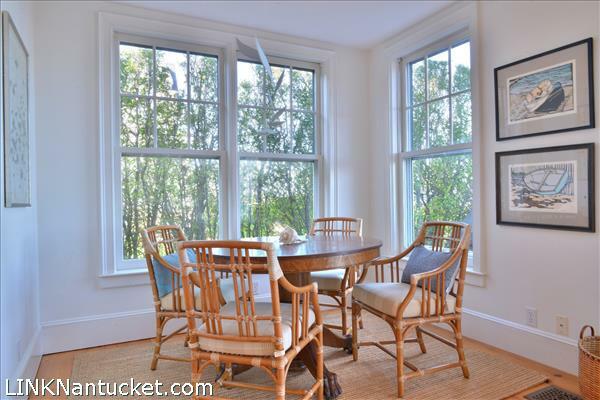 Again, walls of windows light the space. 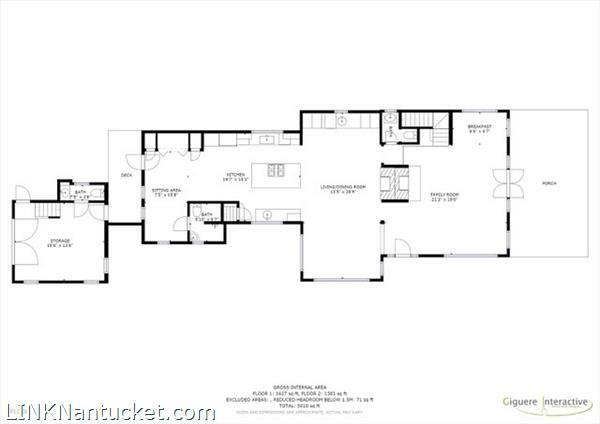 There is a built-in wet bar area with fridge, ice-maker, glass-front cabinetry, media center, second fireplace, powder room and stairs leading to the second floor. 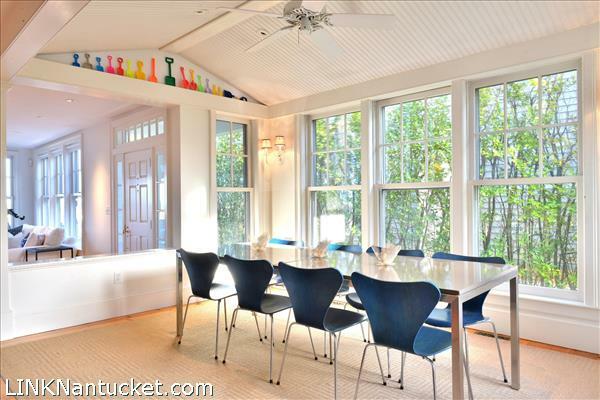 The dining area is a large defined space flooded with sunlight. 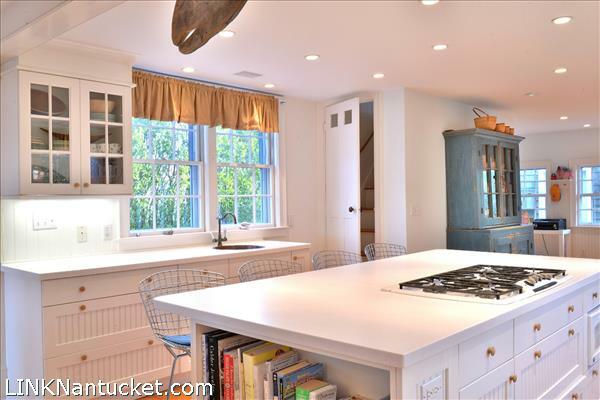 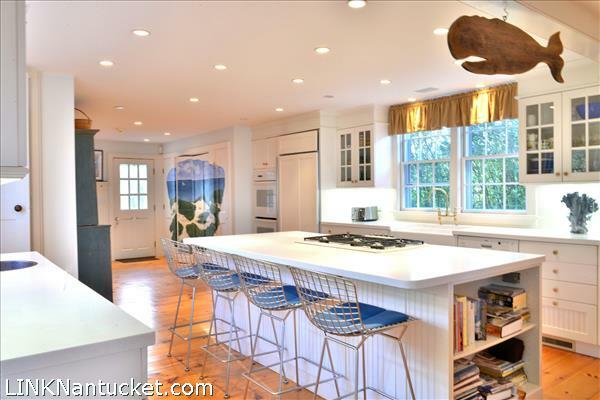 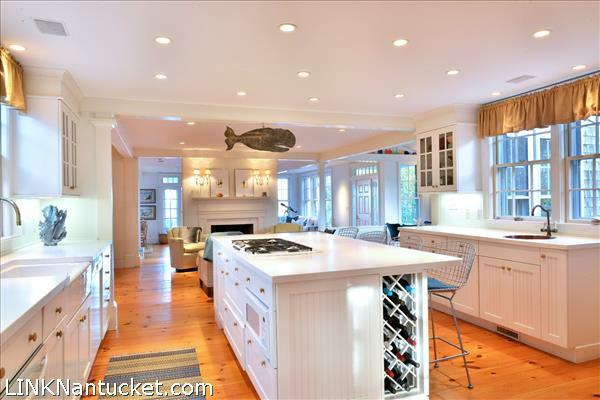 The country kitchen has a large center island that seats 4, two rows of work surfaces with overhead cabinetry, porcelain farmers sink, prep sink, 5 burner cook top and double ovens beckon to the gourmet cook. 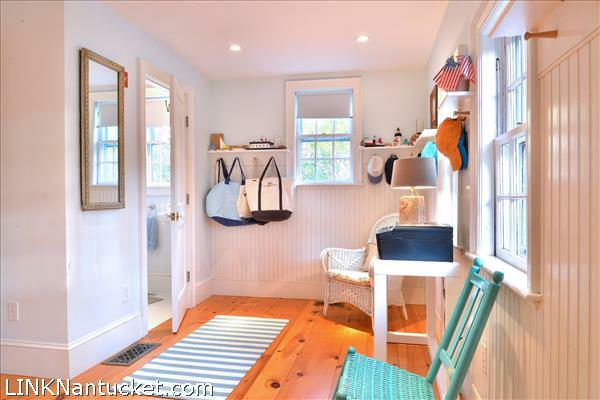 There is a door from the driveway and the garage that leads you to the mud room/laundry area and full bath. 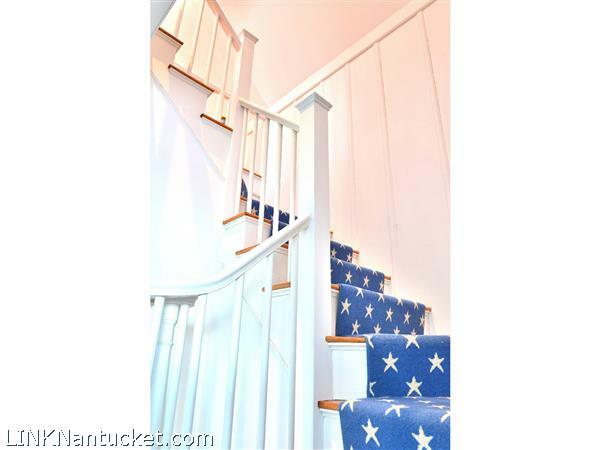 A back staircase leads up to the second floor. 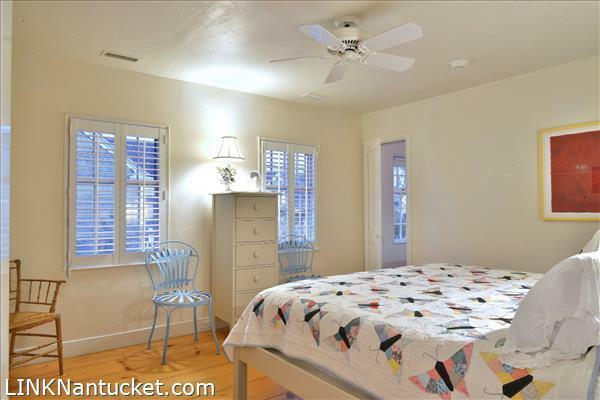 The Master bedroom with cathedral ceilings, wood burning fireplace and walk-in closet has views that people dream about. 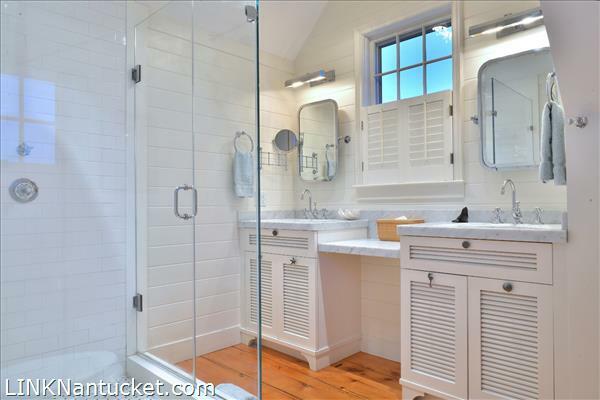 The luxurious en-suite bath has a glass enclosed shower and double marble sinks. 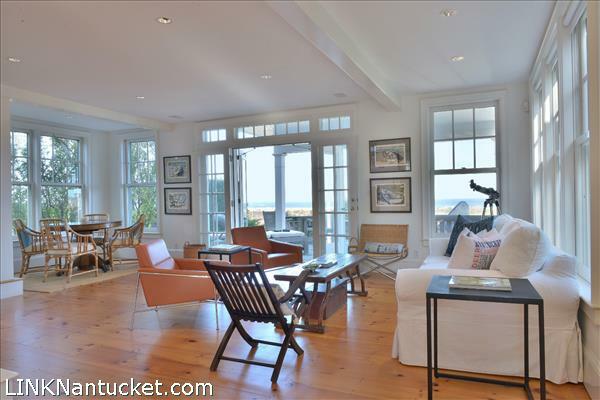 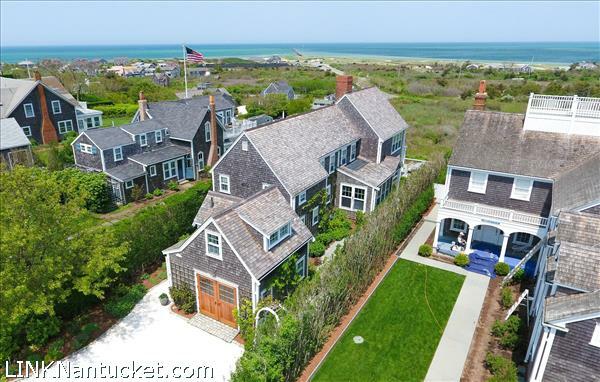 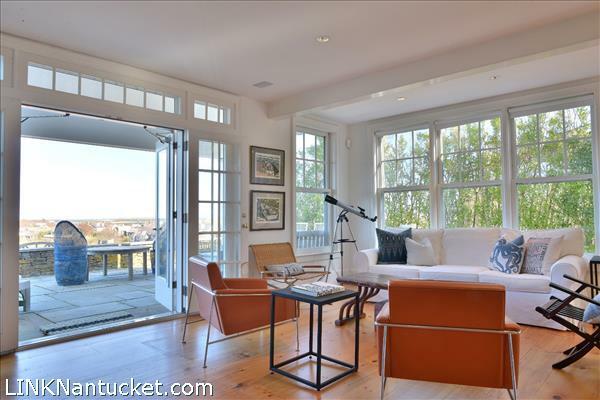 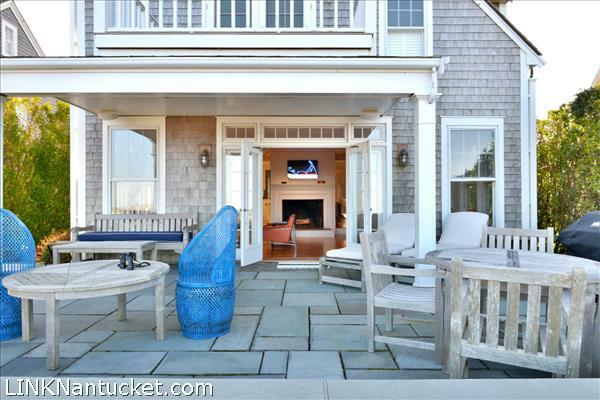 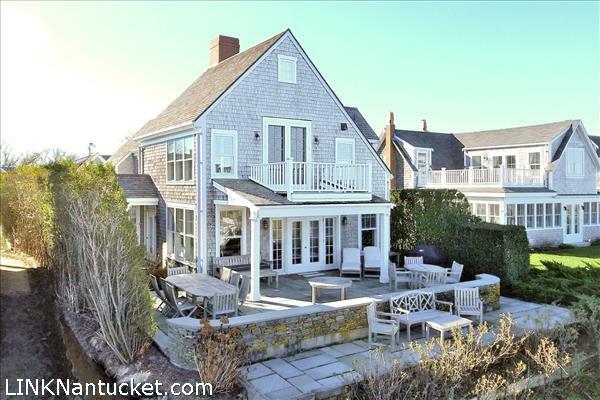 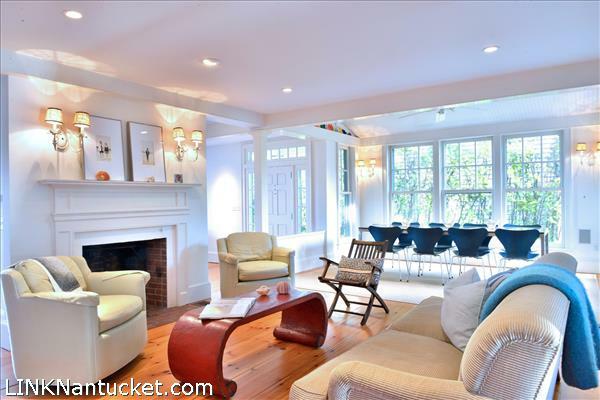 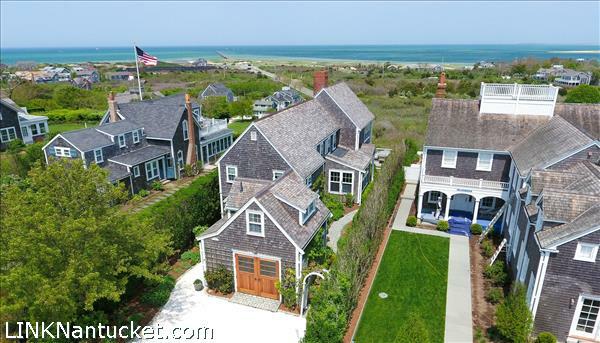 Tall, French doors open to a private deck with a truly spectacular view of the harbor. 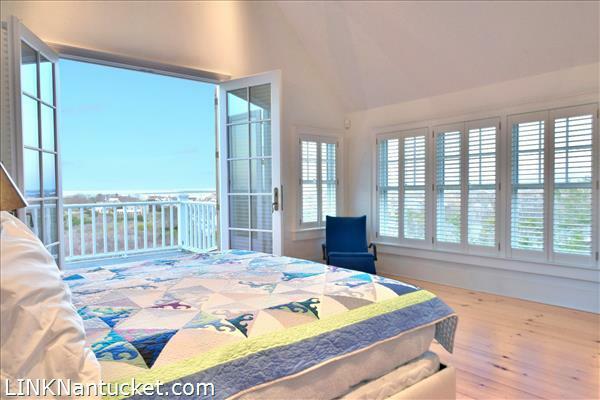 With the screen doors closed, you can fall asleep to the Island’s cool ocean breeze. 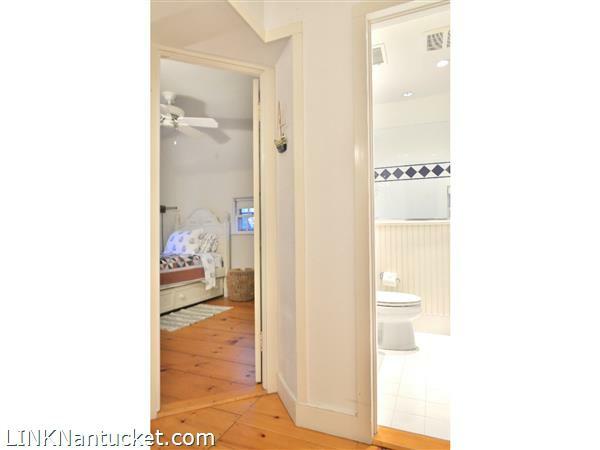 Also on the second floor are a guest bedroom suite with wood burning fireplace, full bath with glass enclosed shower and marble sink. 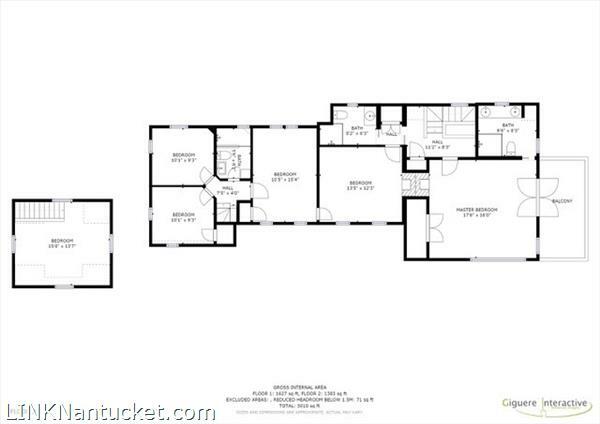 Three additional bedrooms are accessed by the back stairway that leads down to the kitchen. 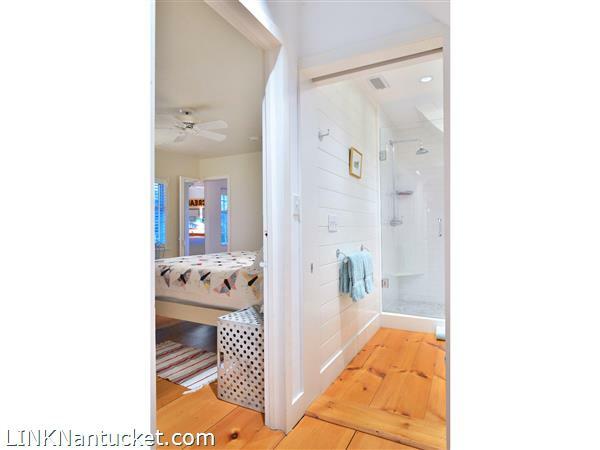 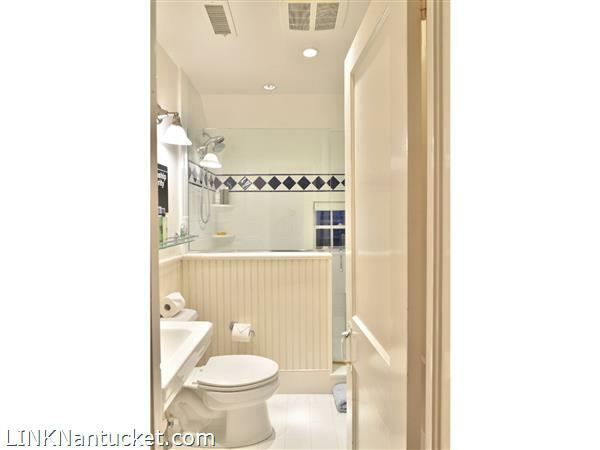 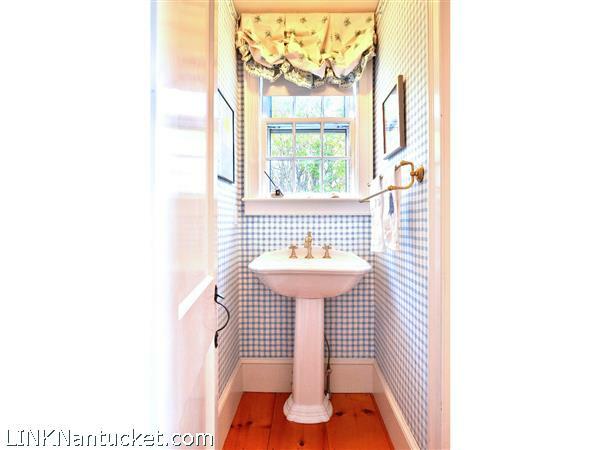 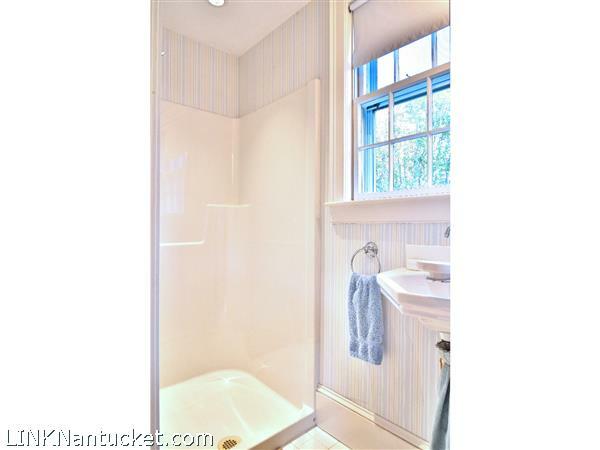 The back bedrooms share a hall bath with glass enclosed shower and pedestal sink. 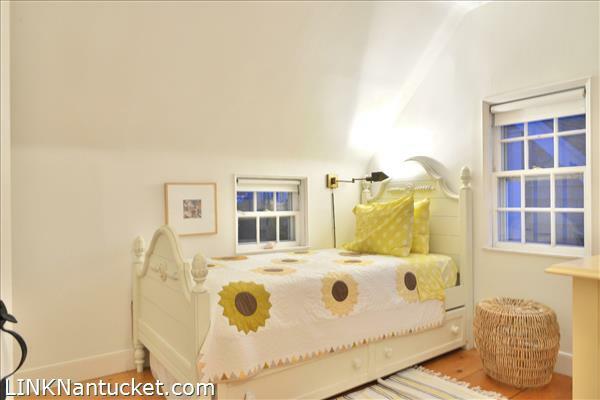 Detached one car garage with half-bath and sunny 2nd floor loft bedroom, outside shower.